You want to know more about Meet the Parents with Princess? 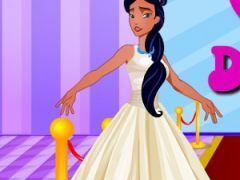 Today's following newly added game is going to be this truly beautiful and newly added dress up, puzzle and hairstyle game we've specially added for your entertainment, dearest girls, and we truly recommend you all to hit play on this following newly added game Meet the Parents with Princess, a game where you will get to meet with Pocahontas, one of Disney's most beloved princess. 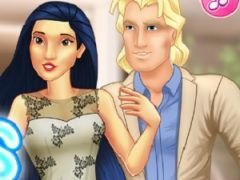 Pocahontas and Jack are a couple for a while now, and today, she will meet his parents, but there are a few things Pocahontas wants to do in order for the meeting to be as pleasant as possible, so, will you girls help her? First, you girls will have to pick out some great presents for the parents and wrap them as gifts, then, you need to play a matching game where you'll have to find the matching pairs of cupcakes and donuts for Pocahontas to bring as delicious dessert, then, you girls will have to dress up this modern princess Pocahontas, and change her hairstyle. Enjoy Meet the Parents with Princess! You want to find more about Meet the Parents with Princess? 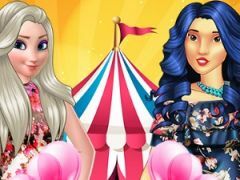 The Meet the Parents with Princess game has part from Pocahontas Games. This game is played by 14 times, have 1 votes (1 likes and 0 dislikes) and his added 14 April 2019. 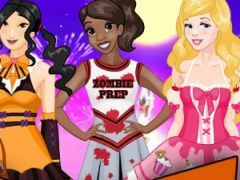 If you want, you can play more games from Pocahontas Games.